QROPS Netherlands - a solution for the transfer of UK pensions! QROPS in the Netherlands are increasingly becoming the pension planning vehicle of choice for British expatriates. 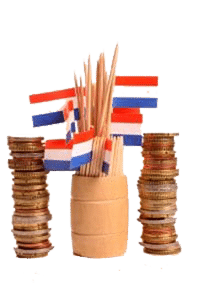 Expats who benefit from the 30% ruling in the Netherlands can now also take advantage of the tax incentives of using QROPS in terms of their retirement planning. There are an estimated 48,000 British expatriates currently residing in Holland. The Netherlands may be famous for its windmills and tulips; however, it is also a hub of business with international organizations such as Shell, EPO, the ICC and ESTEC located there. As such it is considered an ideal place for expats in terms of both work and retirement. Recent changes to UK pension legislation allows British expatriates, or foreign nationals who have worked in Britain for a period, to transfer their UK pensions overseas. Pensions that can be transferred include personal and occupational pension schemes. 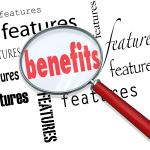 Who is eligible for a QROPS pension transfer? You can take up to 25% of your pension fund tax-free on retirement. This is the same as the current UK limit. A lifetime income can be provided by way of income drawdown. The scheme helps solve the problem of currency risk by allowing you to invest your pension and take income and benefits in a currency of your choice. The vehicle offers a greater choice of investment options, allowing you to access funds managed by any of the world’s leading investment groups. Assets held in the scheme fall outside of your estate for Inheritance Tax purposes if you die while living overseas. This means your wealth is protected for future generations.